GULF OF ADEN – While transiting through the Gulf of Aden, Rear Admiral Kaleem Shaukat, Pakistan Navy, Commander of Combined Task Force (CTF) 151, took the opportunity to meet with the recently installed Commander of Combined Task Force 508, a NATO task force contributing to the counter piracy mission in the area, Dec. 14. 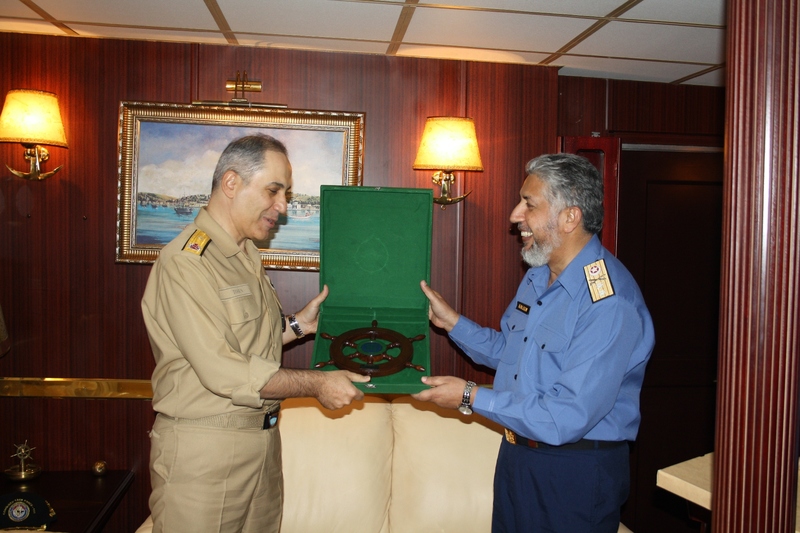 Rear Admiral Shaukat met with Rear Admiral (LH) SİNAN AZMİ TOSUN, Turkish Navy Commander Standing Maritime Group 2 (SNMG-2), aboard the Republic of Turkey ship TCG GIRESON. 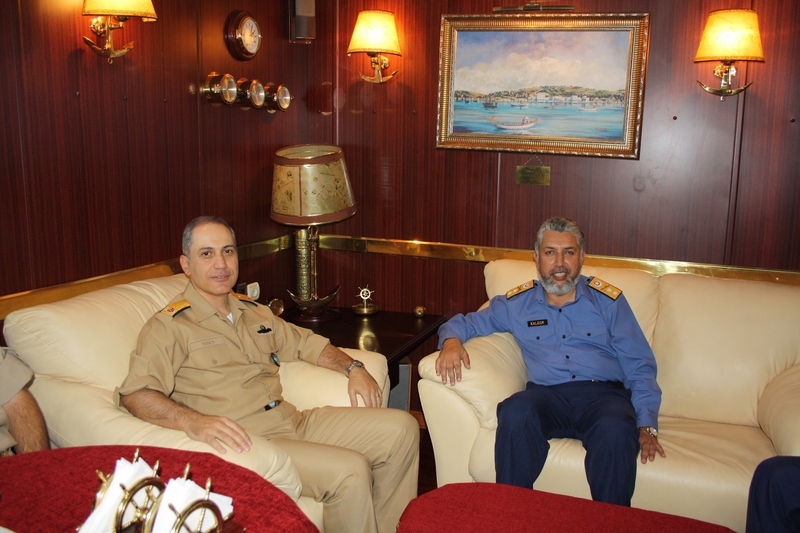 The two task force commanders took advantage of the opportunity for a face-to-face meeting by discussing the capabilities of the units in their respective task forces, and ways in which the two groups can work cooperatively to combat piracy in the region. Both CTF 151 and CTF 508 have counter piracy as their primary mission, and increased cooperation and coordination of efforts will help both groups pursue that mission more effectively. In accordance with United Nations Security Council Resolutions, and in cooperation with non-member forces, CTF 151’s mission is to disrupt piracy and armed robbery at sea and to engage with regional and other partners to build capacity and improve relevant capabilities, in order to protect global maritime commerce and secure freedom of navigation. CTF 151 is one of three task forces operating under Combined Maritime Forces (CMF), a 25-nation coalition based in Bahrain. CTF 151’s counter-piracy operations focus on the Gulf of Aden, Southern Red Sea, Arabian Sea and Somali Basin, an area encompassing 2.5 million square miles.